This story is about my personal journey to becoming a motivational speaker, motivational writer and life coach, and how it all started to materialise when I built this website. My name is Moses. I live in Lusaka in Zambia, Southern Africa. I am a medical doctor by profession. I say that very carefully because, as you may have gathered by now I hate having a label such as “I am a...” I prefer to think of medicine as just one of the things I do. 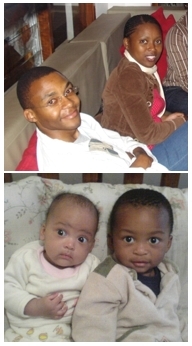 I am also a life coach, budding entrepreneur, husband to a lovely wife and father of two wonderful kids. Amongst the other things I do and find interesting is reading personal development books, listening to inspiring audio programmes and writing motivational material. Over the years I have built up quite a wealth of knowledge on the subject of motivation and personal development. So it wasn’t too long before I got to thinking and feeling that I had a real passion to be a motivational speaker and writer and that it was something I would like to do more of. I would often talk to people individually or in groups and the feedback I would get from them was good. I wondered how I could share this knowledge and my personal experiences with more people as well as establish myself as a motivational speaker. I love sharing and also got the feeling that a lot of people would really benefit from hearing what I had to say. The question was how to do this without spending too much time and money and possibly even make some money whilst I was at it. After all, there is no better way to make money than doing what you love and are passionate about? Also I would have hated the feeling that I wasn’t utilising my potential and talents to the full and letting life pass me by. I wanted to do more with my life than just paying the bills. The search begins - and the confusion too. As I got to thinking about this it occurred to me that the internet was a very powerful way to get my message heard and be known as a motivational speaker, motivational writer as well as life coach. After all, I had used it myself in getting a lot of the knowledge I had. So I started to investigate this further. Before long I got enticed by the stories of instant success on the net and the amazing stories of how some people were making huge fortunes working at home, some of them in their underpants. Yes, that was one of the stories I came across. The internet is a jungle and if not approached with caution you can easily get lost in it and lose track of what you were intending to do. Worse still, you might get tricked into buying into a few scams. I got tricked by some get rich-quick-schemes and some totally useless books that guaranteed making 1000 dollars in 48 hours. I wouldn’t like to tell you how much money I lost in this way because you would probably laugh at me – but trust me, it was quite a bit. I was not discouraged. I knew that there were some good things out there and if I looked hard enough I would find them. I took the few scams as part of the learning process. 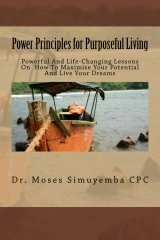 After wandering around in cyberspace for months I got a newsletter from another motivational speaker I subscribed to and he was offering a free e-book. I downloaded the e-book and did not actually look at it for weeks. Then one day I decided to read it. That was one of the best decisions I have ever made. The guy that wrote the e-book talked about how he built his own website and managed to make great money from it. He narrated how to build a website that works. I knew right then that this was what I had been looking for. I went to the site immediately and read all about the system he was using. I was thrilled. It looked so easy and practical and seemed very suitable to the kind of website I wanted as amotivational speaker and writer. So I decided to give it a try. The rest, as they say, is history. I built this site following the simple step by step process. I was thrilled when my site started ranking well at Google, MSN and Yahoo and visitors started coming to the site from all over the world. I am even managing to make money off the site. It practically pays for itself and earns me more money which I invest in my own personal development by buying books and audio programs. How great is that! It’s a win-win situation for both my site visitors and me. I was finally sharing my knowledge and passion as a motivational speaker and writer in a big way. 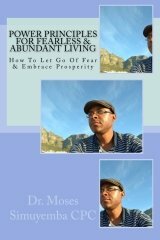 What’s more, with the site up and the ezine I published through it my credibility and reputation as a motivational writer was growing. It wasn’t long before I started writing a weekly motivational column for the largest circulation daily newspaper in the country. It was a great spin-off from my website! Having gained confidence by writing so much on motivation and with the positive feedback I was receiving from this site, I enrolled in professional life coaching classes to become a certified life coach. I had to get up at 1or 2 am for the two-hour classes twice a week due to the time difference with the Canadian coaching institution I had enrolled with. The classes were all webinars or teleclasses and I got my Power Coach® designation soon enough. I am now working on increasing the income from the website using Google Adsense and other affiliate programs. I have also built another website that is unrelated to this one. Leaving my 8 to 5 job and becoming a full time motivational speaker and life coach is now a feasible goal with the websites I have built and that is what I am working on. I will be sure to keep you updated on how that goes. But I am very happy with the progress so far and now when I say I am a motivational speaker, motivational writer and life coach I don’t feel like I am “faking it” because I have built a solid grounding on which to stand tall with this and other websites. I am not intimidated by the dozens of other motivational speaker websites that are around either. Mine competes very well with them at Google and other search engines. Perhaps you too have something you know a lot about - a hobby, passion or just something you think other people might find valuable. For me it was becoming a motivational speaker and writer, but am sure yu have something you really wnat to do as well. Why not share it with them like I did? Make some money doing what you love and know. It’s easy with SBI! SBI stands for Site Build It! and helps you to turn any hobby, passion or skill into a viable online business. You will be amazed that almost any topic can make money with a website. The best part is it’s all possible without having to know anything about HTML or how the internet works or anything like that. SBI! Will take you step by step through the process of building a website. Check out the video tour or the quick tour (if you are on dial-up) to get an idea of how it works. You will be amazed at its simplicity. Also take a look at all the hundreds of successful websites that people like you have built using SBI! These sites all rank in the top 1% of websites worldwide and so does motivation-for-dreamers. It is not surprising that all these people who have built their own websites are so enthusiastic to share their passion about SBI! It’s totally risk free because if you find you are not happy with it you can get your money back. It’s guaranteed. But more than likely, if my experience is anything to go by, you will find you are actually getting more value than you are paying for. So give it a try. It may be a lot of work to start with, but so is everything worth having in life. The great part is that once you have done the groundwork the system basically runs on autopilot, with minimal effort on your part. How’s that for great passive income? P.S - If you have more questions about Solo Build It or want to know exactly how it could work for you, you can ask here. I am sure the more cusrious amongst you might like to know more right now so Here’s more information about how I decided to start using SBI! and built this site.